Optional. If you don't want a fuse, simply connect the two pins with a wire. After some brainstorming we decided that PWM based controlling of the LED strip through MOSFETs with a microcontroller would be the best and most flexible option. I recently did a project with an Arduino Nano and liked the simplicity, so we settled for that option. The PCB works perfectly! Right now the firmware is quite simplistic, but new capabilities will be added over time. 1 / 2 • The PCBs arrived! If you're interested in getting one of these PCBs or even a kit including all parts, order the kit in our shop or contact me at danilo@coredump.ch. You can find all project sources (PCB designs and microcontroller code) on Github (in the v2 directory). 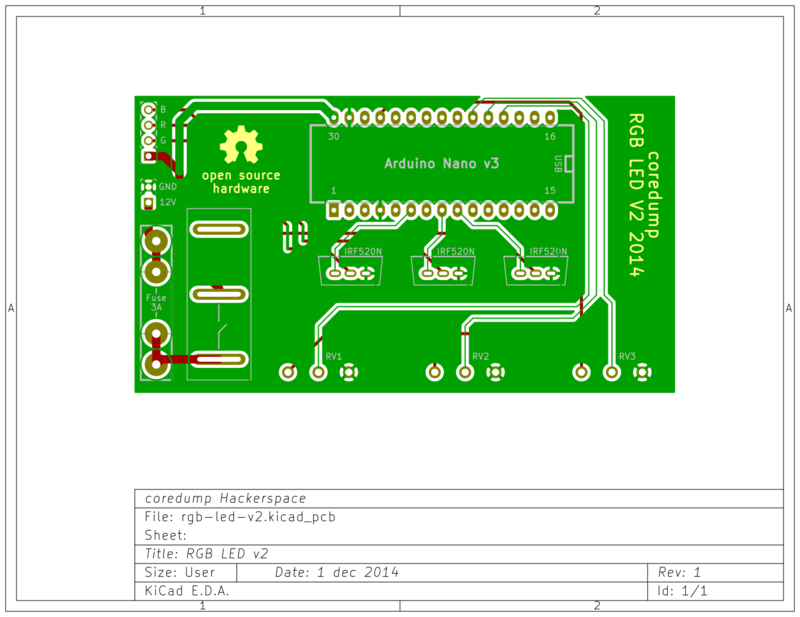 The project was designed using KiCad. 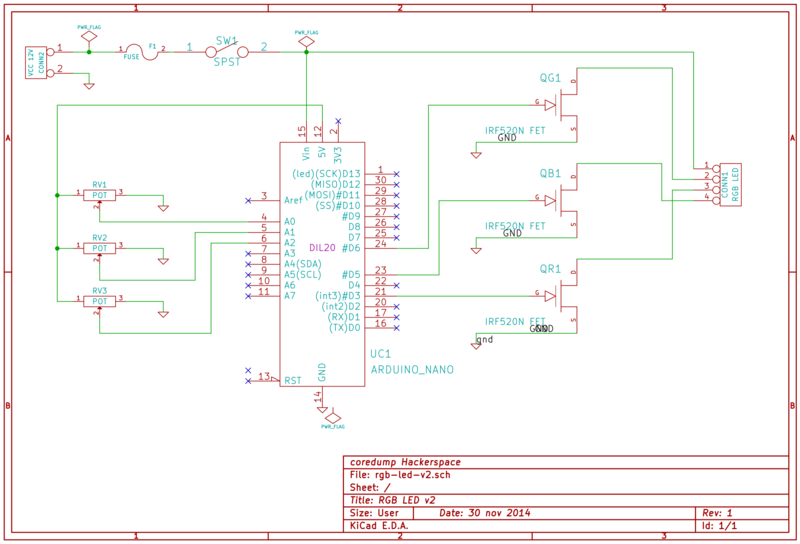 We ordered the PCB from Fusion PCB by Seeed Studio. The cost was $18.90 for 10 pieces excluding shipping.